Dark hair, brown eyes, olive skin and fiery passion – these are some of the desirable traits that Latin women are known for. Men often say that Latin women can be intimidating, but you should know that this is their litmus test to see if suitors are worthy of their love, care and loyalty. Only the most worthy man deserves their attention and when they are won over, prepare for the time of your life. Apart from beauty, sensuality and femininity, Latin women - Mexican women, in particular, have so much more to offer especially in partnerships. They have a traditional upbringing which makes them naturally-inclined to become good wives and mothers; this is because they have been taught to take care of their husband and children. Their strong family values have been ingrained into them since they were born and as such, they are extremely loyal to those whom they are connected with either by blood or by marriage. From the tropical shores of Guerrero, Mexico to other Pacific coasts in Central America, nothing sounds more enjoyable than a vacation with Acapulco singles under the hot Latin sun. So why don’t you take the opportunity to meet hundreds of hot Mexican women and other Latin ladies? Acapulco is an excellent destination to meet Mexican women and other exotic Latin singles. The Acapulco Women agency provides a new and safe service for mature single men looking for their life partners. Moreover, it will bridge two foreign people together for the sake of true love and affection, and not for any vested interest. Single Acapulco girls here are waiting to meet you! You’ll have fun. Both Mexican and other Latin women, in general, know how to have fun; thus, you’ll never have a dull moment with them especially on a date. Romantic dinners, strolls on the beach or coffee dates are made even more meaningful as Latinas use their natural charm and intelligence in talking about any topic. Pro-tip: Take her into a dance. Not only will she appreciate it; she will also show you how good she is in dancing. The legendary Latina sensuality will be seen in full view on the dance floor. They go with their natural rhythm and that makes them great dancers---this is a win-win for her and you. Unwavering Loyalty. Acapulco women are not easy to get and their intimidating ways serve as tests to phase out the few tontos who just want to play around with her. Latinas love being committed in serious relationships and consider it as something existent for forever, if they had their way. That is why they will be resistant to shallow advances, but with time and persistence, her walls will be down; when you have her heart, expect unwavering loyalty, care and love because no one loves like a Latina woman does. Passionate Love. Latin women fall in love and when they do, they fall HARD. Not everyone can get inside her good graces or inspire her completely; thus, those men who are able to do so should count their lucky stars for having her by his side. Femininity. They are in touch with their feminine side and truly embrace it,--- that is what makes them nurturing, gentle, kind, compassionate and loving. 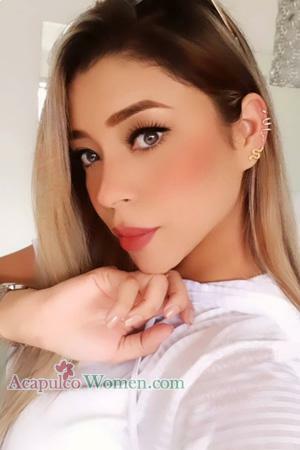 She takes care of herself through impeccable grooming and exercises her toned physique because she wants to be beautiful, sweet and presentable for her future novio and husband. However, this does not mean that they can be walked all over on because underneath them is a fiery Latina who will not hesitate to unsheathe her claws when the moment calls for it, especially when her family is threatened. Food. When you’re dating a Mexican woman, you’ll never go hungry when she’s around or when you’re in her casa with her family. Everybody loves “Mexican” fast food but no one would know authentic cuisine except for the lucky ones who were adopted into the family – i.e. boyfriends, husbands and good friends. Latin people love to eat and they almost always have a reason to celebrate. The best part is always the partaking of the food which made better when shared with everyone in the family. Big Family Parties. It becomes a requirement for any dating Chica to introduce her boyfriend to her family. Acapulco and Latin families, in general, are known to be so large that these extend to grandparents, cousins and other relatives. When that big day comes, it’s almost given that there will be a big party to celebrate your presence in their chica’s life; complete with sumptuous foods, lively music and dancing! Take good care of her because if you failed to do so, you’re going against the entire family, including her overprotective brothers and male cousins. She Will Make a Better Man Out of You. Acapulco women are an interesting mix of sweetness and steel. She will be soft and loving in all the right ways, but if she has her mind on something, she will strive to achieve it with everything she's got - including you. Her refreshing straightforwardness and low tolerance to excuses will make her man straighten up and work even harder. She's doing it for themselves and their family, and the lucky men in their lives will quickly realize that everything is worth it. Our services can be used to interact with Acapulco ladies, single Mexican women and other Latin women who have signed up to our agency. This site has a dedicated team of matchmakers to ensure that all the Acapulco women for marriage joining in the site are marriage-minded, traditional and most of all, looking for lasting love and companionship just like you. 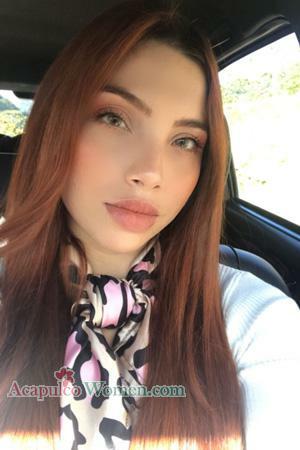 The Acapulco Women agency has been responsible for hundreds of love matches among single mature men and beautiful Latin women from all over the world. We are one of the most trusted matchmaking services and a strong leader when it comes to introduction services. This Mexican online dating site advocates to bridge the gaps between international countries. Our services mainly cater to single mature men who have little to no experience when it comes to online dating. Whether you're looking for friendship, a relationship or even love and lasting companionship – dive right in and enjoy without worries here at Acapulco Women.